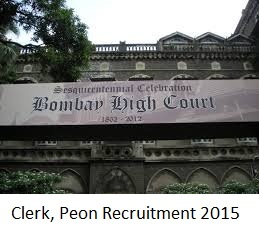 High Court of Judicature Bombay, Nagpur recently announced a recruitment notification to fill up Clerk and Peon posts. Eligible candidates may apply online mode at http://bombayhighcourt.nic.in/ before the last date. A candidate who are targeting for these posts they must and should check previous question papers, model papers, sample papers, syllabus in hind for better results. Below is the info on how to apply Bombay Clerk Peon posts, salary, vacancies and more.